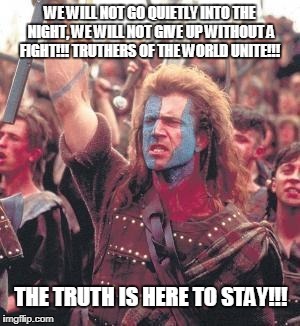 WE WILL NOT GO QUIETLY INTO THE NIGHT, WE WILL NOT GIVE UP WITHOUT A FIGHT!!! TRUTHERS OF THE WORLD UNITE!!! THE TRUTH IS HERE TO STAY!! !